The sacraments are also an ever-present part of our days at school. Each Friday (with few exceptions) we come together as a school to celebrate Mass. Each grade takes turns throughout the year hosting Mass and co-ordinate everything from readings, to altar servers to songs. Parents are welcomed and encouraged to share in this special time with us. Additionally, we have Mass on Holy Days of Obligation. On Fridays, throughout Lent, students pray the Stations of the Cross together. 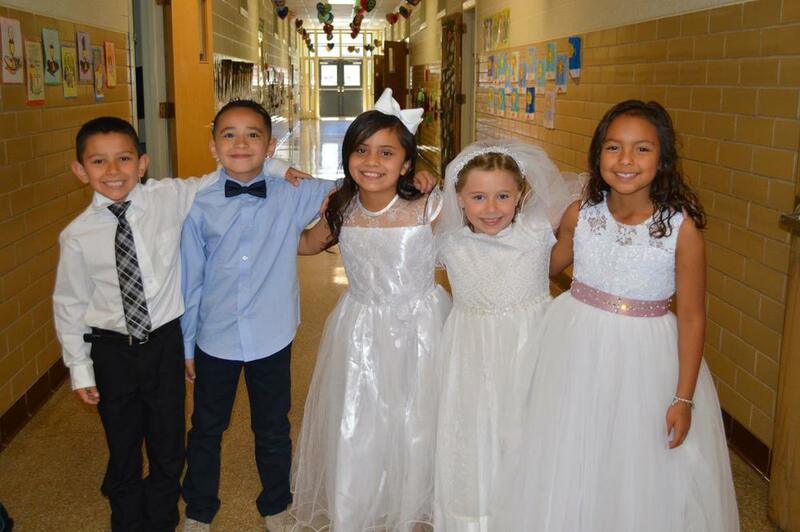 Our 2nd Grade class will prepare and receive Reconciliation and First Eucharist during their school year. While both sacraments are taught by St. Anthony’s Parish after school hours, our 2nd Grade teacher also covers all elements of these sacraments to ensure our students are fully prepared and knowledgeable.